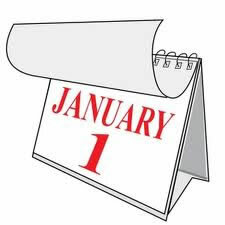 It's time again to wish you all a very Happy New Year as we embark upon the year 2012 and wonder what exciting and unexpected pleasures and sorrows it may bring. The start of a new year always gets people talking about "New Year's Resolutions" and things they'd like to change in their life in order to make them look or feel better - physically, mentally, spiritually, emotionally, socially, and even financially. I love fresh starts myself! I always enjoyed the beginning of a new school year, the start of a new project, building a new website, and yes, even starting a brand new year. Unfortunately, it seems that most of us make New Year's resolutions each year that we don't end up keeping. I think the reason for that is usually because we aim too high. Now, I'm not saying we shouldn't aim high or have lofty goals. You wouldn't believe some of mine if I shared them with you! However, this year I've decided to make a resolution that will really benefit me and that I know I can keep. I'm going to "Just Add Water!" Now before you start thinking I've lost my mind, hear me out! Most of us live in an "instant" society. We want and expect the quick and easy conveniences that make our lives hum along at a pretty brisk pace. How many times have you seen and/or used instant coffee, instant cocoa, instant cereal, instant soup, instant potatoes, etc., that say on the package, "just add water?" It's really amazing what a little water can do! 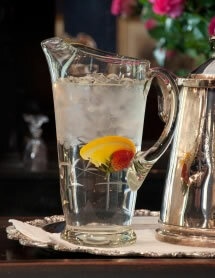 But I think most of us have forgotten that water is for much more than re-hydrating our instant convenience foods. It's most important role is to rehydrate us! Water is so essential to good health, and yet water is probably one of the most neglected ingredients in our daily lives. Our bodies are made up of more than 70% water and we thrive and function more efficiently when we remember the benefits of proper hydration and give our body what it needs. We will spend good money on vitamins, minerals, supplements, herbs, and organic foods in our effort to achieve and maintain good health. And I'm all for that! But the truth is, most of us would feel a lot healthier and more energized each day if we just drank more water, and it's free! Do you know some of the symptoms of dehydration? Some people even experience insomnia simply because they are dehydrated! 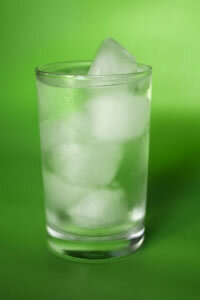 Before you reach for that next cup of coffee, juice, or soft drink, why not STOP and have a glass of water first? If you're still thirsty afterward, then go ahead and enjoy your other beverage. I'm not trying to get you to give up something in 2012, but to add something that doesn't cost you a dime. By making a conscious decision to drink more water each day, I'm confident that you will feel healthier and stronger, experience less brain fog, have more energy during the day, and sleep better at night. Who knows? You may even discover that some of your nagging symptoms (of dehydration) simply disappear! Let's do it together - just add water! If you have any questions or a topic you'd like me to cover, reply to this email or use my contact form and let me know about it.